Jinsai wrote: This is both hilarious and disappointing. Hilarious because I've owned an Evolver of one sort or another for 4 years or so and never noticed this until I read this post. So I got home today, dialed up a patch, and now I can't stop hearing it! Play a bunch of low notes, then play some higher notes (up 2 octaves or so) you get this sort of low-frequency "clop" at the beginning of the higher frequency notes. It only happens as each voice transitions from a lower note to a higher note. In the other direction, it's not as audible or as severe a problem. More "character", for sure. But not exactly fun or musical. Better the "clop" than the clap though. Hee heeeeee, very true! I was thinking of that right after I read my post! I thought perhaps slightly increasing attack time would mask the problem - you need to increase attack time to the 25-26 range to adequately cover. At that point, the attack is slow/mushy. 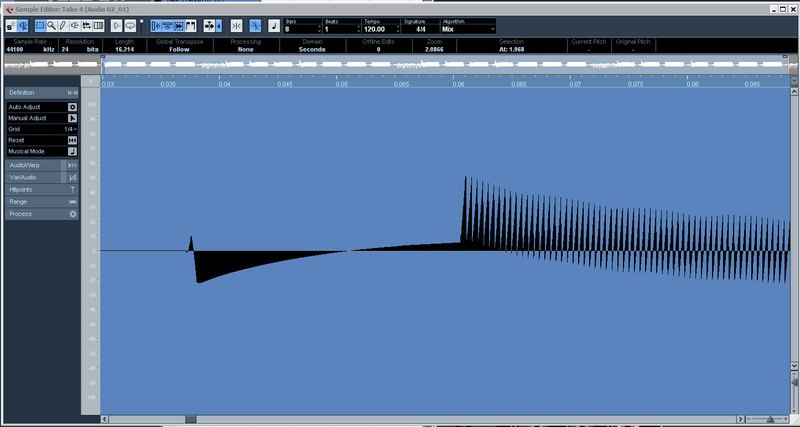 Even with the filter fully closed, if key track is set to 72 (1:1 tracking for Evo), the "clop" cuts through the filter. A glide setting of "1" will mask the problem but puts excessive portamento/glide in place. In short, if you transition from low notes to high notes with a difference of an octave or more, you're gonna get "clopping". I am still hoping DSI will figure out a fix for this. Unsure as to whether I'll keep the Evo at this point. I note without making comment that low note priority is the default key mode setting. wow, i didn't intend this thread to make people f**k sell their evolvers. If you hadn't noticed before and liked it, just remember nothing has changed! Jabberwalky wrote: wow, i didn't intend this thread to make people f**k sell their evolvers. If you hadn't noticed before and liked it, just remember nothing has changed! Sure you weren't trying to get the price on Evolvers on ebay to tank so you could buy them all up? but I think this minuscule glitch really doesn't make a s**t bit of difference and won't be noticed in 99.9% of the sounds it can do. Note priority does not appear to make a difference. I did quite a bit of testing to see if it was possible to camouflage or eradicate the glitching. Most users don't hear the sound because it's frequently masked by whacking the keys. Listening to recordings makes it quite obvious, though. Indeed, no synth is perfect - but I consider this a serious defect. I disagree that it won't be noticed in "99.9%" of the sounds it can do - it's quite obvious on any analog oscillator-based sound with a short attack on the volume envelope. I'm not saying I'm getting rid of my PEK (I am the guy who wrote "The Definitive Guide...", after all). Just that this is not an insignificant problem for me. I find it curious that it's taken the best of 6yrs for someone to notice. Ha, so Jinsai, you're Anu Kirk? I really like your definitive guide. I went through it when I first got my Mek a few weeks ago. Don't know why, but i noticed the glitches within a few hours of playing it. Isn't this kind of stuff a feature? In the Keyboard mag article on the P08, Dave Smith talked about designing in slop. Most people don't hear it over the whacking of the keys against the keybed while they're playing, and may not hear it in a mix with drums and other sounds going on. For the first few years I had a mono desktop evolver, and it was harder to hear with just one voice cycling - In the mono case I frequently just used it for parts within a 2-octave range, so it was inaudible or tolerable. It becomes much more of an issue if you're playing the Poly and using two hands/spreading your notes across octaves. Regarding "slop" - that's not what Dave Smith was referring to. 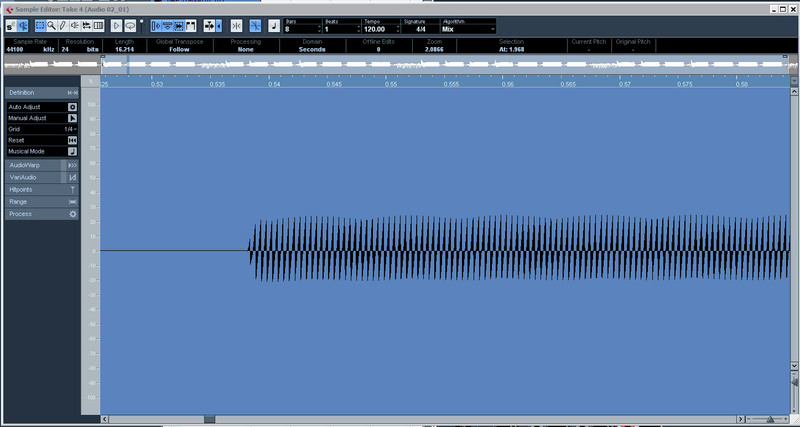 He was referring to the "Oscillator Slop" parameter, which doesn't affect this glitching.